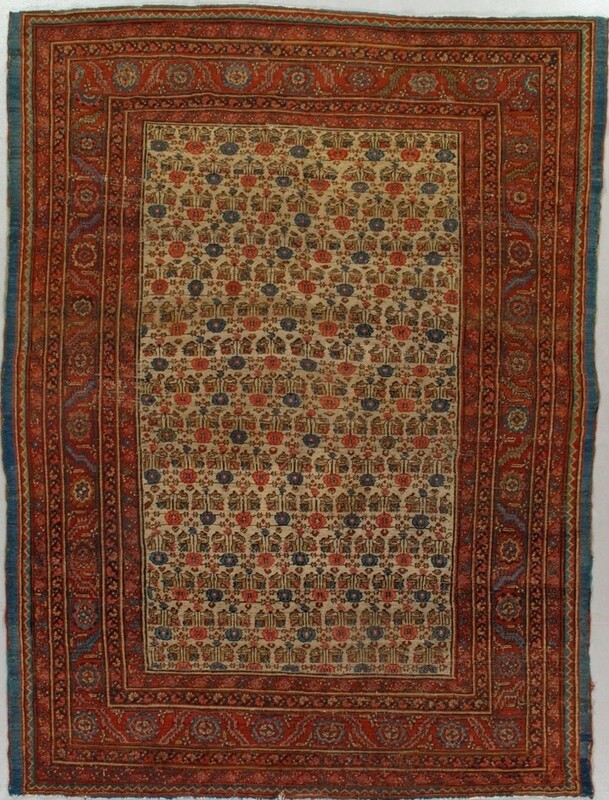 akshaish RThe old ivory field of this antique carpet from the Heriz area displays an allover pattern of colourful flowers adapted from 18th century Persian silk brocade textiles. 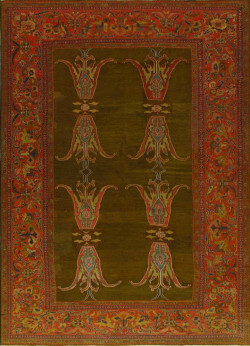 Accent tones include medium blue,yellow, rust, salmon and brown-black(corroded). The blossoming plants are arranged in horizontal colour alternation, but make no larger pattern. The abrashed madder red border has bracketed rosettes and serrated bent leaves. 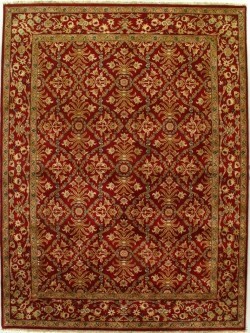 It is flanked by red and brown-black minors in characteristic Heriz style. There is an outermost plain medium blue band surrounding the whole. Small details of the main border are knotted in natural camel hair. The warps are white cotton and the wefts are brown wool of varying shades.The knotting is fairly coarse. 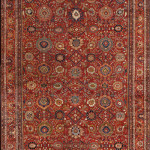 Irregularities visible on the back indicate a team of four weavers created this carpet. 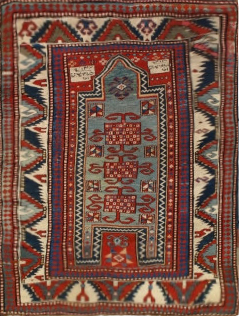 This rug is a characteristic example of Heriz area weaving in the later 19th century, before medallion patterns in the style of more urban carpets came to dominate production. 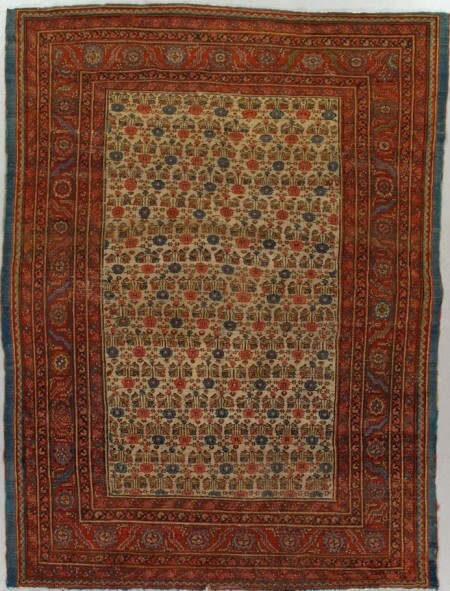 This is a rustic village piece with all the attendant irregularities which combine to make it a good accompaniment to virtually any informal furnishing scheme. But it works equally well as a handmade foil to ultra-modern decor as well.